These are the statutes and the judgments and the teachings (Toros- plural of Torah) that HASHEM gave between Himself and the Children of Israel at Sinai through the hand of Moshe. Toros: One (Torah) Written and one (Torah) Oral. This informs that both were given to Moshe at Sinai. The Torah cries out for explanation. There must, by definition, have been a concomitant corpus of information that accompanied the giving of the laws and that is what we call the “Oral Torah”. Rabbi Samson Raphael Hirsch uses the analogy that the Written Torah is like the notes to a scientific lecture. Every jot and squiggle has significance. If properly understood it can awaken the actual lecture. The notes remain useless to someone who has not heard the lecture from the Master. Therefore in the Oral Torah is the sum of the lecture while the Written Torah is merely a shorthand record. Without an Oral Torah that book the whole world holds in such high esteem, the Bible is rendered in-actionable. It becomes a frozen document that cannot be lived. Unfortunately, so many over the ages have become lost due to a failure to appreciate this single point and its significance for our very survival as a people. When my wife and I were engaged, at the party there was a cousin of hers that has written voluminously about the holocaust. 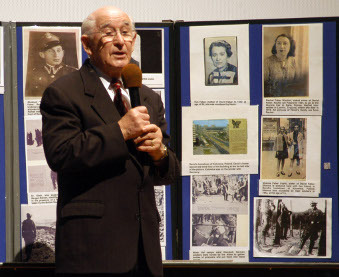 He himself survived, somehow, seven concentration camps. One of the Rabbis encouraged him to speak. He claimed to be unprepared and not a good English speaker. He spoke amazingly well. 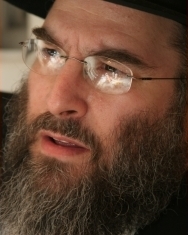 Rabbi Lam got my attention when he wrote, ”Not one Mitzvah in the entire Torah is capable of being carried into action given only the parameters provided in the text.” Most of what I hear about the Oral Torah from Evangelical Christians is that it’s all a bunch of made up rules and cannot be considered the valid Word of God. Many in the Christian Hebrew Roots world say the same thing, believing it is possible to observe the mitzvot based on the Written Torah alone. And yet Rabbi Lam says this is impossible. Moses received the Torah from [G-d at] Sinai and gave it over to Joshua. Joshua gave it over to the Elders, the Elders to the Prophets, and the Prophets gave it over to the Men of the Great Assembly. They [the Men of the Great Assembly] would always say these three things: Be cautious in judgment. Establish many pupils. And make a safety fence around the Torah. Orthodox Judaism generally believes that the Oral Torah was handed down in an unbroken chain as described above. Given the history of Israel’s exiles, that seems difficult to believe. Even the written Torah was lost for a great deal of time and when it was found (2 Kings 22:8-13), King Josiah ”tore his clothes” because ”great is the wrath of the Lord that burns against us, because our fathers have not listened to the words of this book, to do according to all that is written concerning us.” If the words of the Torah had been lost even though written, how much more so can it be true that the original Oral Torah given to Moses could have been forgotten? But that doesn’t mean Oral history didn’t accompany the written Torah in some matter or fashion across the many centuries. The Oral tradition just might not have survived intact from its earliest inception. That is, what Judaism understands to be Oral Torah now may not be entirely traceable back over three-thousand years. I’ve repeatedly suggested that the “Jerusalem letter” we saw crafted in Acts 15 as a set of instructions for new Gentile disciples of Jesus, had to have been accompanied by oral instructions because the “four essentials” of the letter are so barren. It’s quite possible that the Didache is the documentation of the original oral instructions for the Gentile disciples, so oral information being transmitted across time to explain written instruction isn’t foreign to early Christian tradition. Put all together, we can paint a picture of an Oral set of instructions accompanying the written Torah, perhaps changing over time to respond to the differing demands and requirements of ”particular times and cultures.” If Judaism is guilty of this process, so indeed is Christianity. We just don’t talk about it. I’m including the rest of the quote from Rabbi Lam’s article because it includes important points from history, and we ignore history at our own peril. First he looked out at a room filled with newly observant Jews and wondered aloud, “Where do you people come from?” He then quoted the Talmudic principle, “Torah returns to those who have hosted it.” He explained, “If you are sitting here today then it’s probably because you have some great ancestors who were willing to and did give blood to keep this Torah alive.” He went on to talk about my wife’s and his illustrious family tree. The Oral Torah is essential for our existence as a people. It is our most vital organ and instrument for survival. Without it we are immediately lost. It makes sense that those who plan our demise understand it very well! Even the reprehensible Nazis understood the power of the Talmud and Rabbinic rulings and traditions to save the Jewish people, particularly in the face of certain disaster. We see here that beyond the extermination of the six million Jewish victims of the Third Reich, the Nazis had plans to prevent the rest of world Jewry from learning of the so-called “final solution,” for fear that the Jews in America wouldn’t be easy targets if prepared (assuming the Reich was victorious in conquering the world, which, Baruch Hashem, they were not). Oral Torah, which was eventually recorded in writing and then adapted repeatedly as circumstances required, was responsible for Jewish survival during a two-thousand year history where the world was continually trying to destroy them. 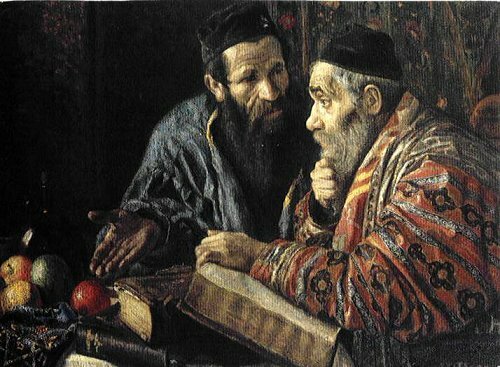 For this reason alone, we should be thankful for the Jewish adherence to Talmud, but as I’ve already stated, in many ways, Christianity in its various forms including Protestantism, has a parallel set of “oral law” upon which it relies to define Biblical application across the changing historical and cultural landscape. For one, evangelicals and HR condemn what they know nothing about, and employ fear tactics to prevent their adherents from an honest examination. My take is that oral knowledge was passed down prior to torah being written, as otherwise, how would Noah have been able to distinguish clean from unclean animals? It drives me up the wall that the larger Evangelical community won’t admit to the existence of tradition. There’s such terror about it, and I really don’t understand why. I love the Scriptures, but its clear in reading them that things were first said and then written down. What’s the big deal about that? God is quite capable of preserving what He wants to be preserved. Christians have been told what to do since Christianity decided to become its own religion, and rather than debate, it has tended to break into denominations where agreement presides over all. Could it be that “orthodoxy” really thrives on honest, open debate within doctrinal bounds? And not on the compartmentalized “agreement” that creates the boundaries of Christian denominations and splinter groups? And in that regard, as concerns the Holocaust, perhaps the thousands of shtetls, filled with Chasidic and other observant Jews, that were home to such an enormous proportion of Polish Jewry, for instance, were so deeply bonded in the search of truth found in argumentation over the various rabbinic opinions found in Talmud that their focus and closeness formed a heretofore unknown cohesiveness that the Nazis felt threatened by. Such cohesiveness of community formed around such open questioning of authority would quite likely be deemed a potent threat by those serving a fascist dictatorship. In terms of a kind of corollary: if the church were to accept open-minded questioning of its own norms and mores as a positive dynamic in the quest for deeper Truth, engaging in an open marketplace of expression of ideas ,seeing it as an indicator of a healthy state of being, perhaps its vitality would be restored and noticed by the watching world as a step toward maturity; seen as a bold leap from dull follow-the-leadership to a resurgence of original, independent thought within a thriving intellectual, as well as spiritual, community. Perhaps the church should strive to emulate within its own community what the Nazis feared in the Jewish community it ultimately obliterated. I agree with Chaya regarding oral knowledge passed down. Examples of Noah, Abram, and Melkizedek, show there were people following and obeying prior to written Torah. The examples that the Christians base their negative opinion on are written in the gospel and Paul’s letters. Jesus rebuked some Pharisees for their oral traditions and Paul didn’t speak too highly of the ordinances and traditions. Because of some bad examples, and some poor understanding of the culture and writing context, the generalized Christian sect considers all Jewish oral tradition bad. The reality is that there are some some wonderfully rich lessons within the oral teaching. I was reminded in Sunday school yesterday of one of the big differences between Evangelical Christianity and Judaism. In a Christian Sunday school class, everyone is supposed to agree or if they disagree, those differences should be minor and a resolution or consensus should be found. In Judaism, healthy debate (as opposed to personalizing conflict) is deemed the better way to arrive at truth. We studied Acts 21:15-26, and the class thought that Paul agreed to pay the the expenses of the four men under a Nazarite vow for the sake of unity with the believing Jews in Jerusalem, not because it would have been a mitzvah for him to do so as an observant Jews. I tried to a few things out about this interpretation, but my comments landed with a big, dull, thud. I think Christianity throws the baby out with the bathwater because they can’t or won’t make the conceptual leap. @Marie — Don’t forget that one of the driving factors of the Reformation, to which Evangelicalism is heir, was a rejection of (some of) the erroneous traditions developed by Catholicism. Hence there is an ingrained fear to acknowledge their own development of traditions, let alone to acknowledge ancient Jewish traditions. @Dan Hennessy — Don’t forget that the tradition of open debate within Judaism is a technique for learning, and not a pattern for dissension. Virtually all Talmudic debates end with a formulation that the rabbis agree with one voice that thus and such is the halakhah. So the pattern also includes reaching consensus and then adhering to that decision after all manner of far-flung arguments have been considered. Hence there remains a basis for identifying what “should be”. @James — So it would appear that your Sunday-School class is willing to go along with the view of Paul as liar and hypocrite (or at least disingenuous dissembler) for the sake of getting along and avoiding arguments. I presume they also aren’t particularly impressed by Mt.5:17-20 or Mt.23:2-3a. PL, perhaps that is why women were traditionally forbidden from learning Talmud, so that the patriarchy had a corner on the market? They could argue among themselves, but nothing threatening to their authority would be voiced. Philo was the source for bringing Plato and Aristotle’s ideas of female moral, intellectual and innate spiritual inferiority into Judaism. @James, Evangelicalism demands conformity of thought, while Judaism demands conformity of behavior. In some ways, Evangelicalism is easier, as one can receive the love and acceptance of a religious group as long as you don’t reveal too much. However, I suspect that if someone did an anonymous research project, we would discover that there is much far more dissension and disagreement than is voiced. I believe what happened to me was typical cognitive dissonance, as we don’t feel comfortable when our behavior disagrees with our beliefs, so we alter our beliefs. And it doesn’t help that we tend to associate with a narrow group of people, interact only with mostly agreeing media and our only purpose for reaching beyond our confines is to convince “those others out there,” of the rightness of our doctrine and practice. While I find the teaching of evangelicalism lacking in depth, originality and creativity, I see a disconnect between some of the wonderful teaching within Judaism and the lifestyle of its practitioners. I suppose control has to be exerted somehow, and one can be free in thought as long as one doesn’t violate behavioral norms. It was disconcerting to me to discover that groups of people who purport to follow wonderful, wise teaching have two streets in front of their Yeshiva, so women can walk on the opposing side that no Yeshiva bocher might be forced to see a woman even though she is dressed according to draconian modesty standards. I don’t know what the answer is, but I’ve realized that there is no such thing as a free lunch. There is no free love, acceptance, support, kindness and help; it all comes at a price. At least they should be more upfront about all the costs. @chaya — You needn’t be so cynical as to ascribe to the Talmudic sages ulterior motivations like patriarchialism, paternalism, or power-grabbing in their discouragement of women Talmud scholars. They did perceive the pursuit of this kind of study as an extremely demanding and time-consuming discipline, and therefore inconsistent with the extremely demanding and time-consuming responsibilities already assigned to women by HaShem in His design of the human species. They simply believed that women were already too busy with higher priorities to be able to devote that much more intensive effort to take on Talmud study in addition. Philo received a very mixed reception in the rabbinic world, because Greek philosophy was quite properly suspect of not representing HaShem’s Torah perspectives. As for what we might deem an exaggerated overreaction to the distraction suffered by ultra-orthodox Jewish males when confronted with the presence of a female, we must not overgeneralize as if this were characteristic of all orthodoxy, nor is it intended as a denigration of women. It is, in some measure, a demand upon women to acknowledge and be compassionate about a male sensitivity that is heightened in men who seek to devote themselves to sexual purity, including mental process purity and undistracted concentration. Avoidance and isolation are suitable strategies for addressing this acknowledged male problem, though not the only strategies nor the best ones, because they effectively surrender to a presumed insoluble problem rather than to seek solutions that improve male self-discipline and self-control. And not all failures to live up to wonderfully high religious standards constitute hypocrisy; sometimes they are merely human frailty. Let’s just say their view of Paul is rather rigidly fixed, PL. I don’t know what the answer is, but I’ve realized that there is no such thing as a free lunch. There is no free love, acceptance, support, kindness and help; it all comes at a price. I suspect that God is a lot better at love than we poor, dumb human beings are…thankfully. @James, you’re right. I was speaking in terms of human fellowship. @Chaya : Have you read Skip Moen’s “Guardian Angel” ? As one whose been stung too– a lot– I can understand your feelings here Chaya. But I know that there is love, acceptance, support, kindness and help; it’s just very hard to come by. Many people who claim to represent God put on a costume of religion to hide their inner being. Some hide behind a priest’s collar or nun’s habit, some behind a Black fedora and beard, or a sheitel. In the religious world that doesn’t wear a uniform (such as Protestant evangelicals) people manifest behaviors like constantly speaking in Bible verses to convince everyone of their supposed holiness. But usually the truly holy ones are normal, humble folks who don’t try to convince anyone of anything; they just *are*. If you need to see evidence of this, can I recommend that you see “Weapons Of The Spirit” which is about a community of 5000 Christians who saved 5000 Jews during the Holocaust, or “No. 4 Street Of Our Lady” (on Amazon). In Francisca Halamajowa’s town only 30 Jews survived the holocaust and she saved ½ of them herself. Wow James, I don’t know it would put an image on here! Dan said: I’ve found that the proverb “He who disagrees with me is my teacher” seems not to be well known in Christian dialogue. @Alfredo, Yes I am have that book and am familiar with his other works. Excellent scholar and I love the way he turns everything upside down. @Dan and @James: I find there is a lot to learn from someone who disagrees with me, because I find at least some of what they say to be true. It seems Protestant Christianity is centered around the pastor, and so his authority cannot be questioned, especially with the CEO model. Judaism doesn’t hang on its pulpit rabbis or other machers. PL: I don’t buy the Jewish spin on past treatment of women. Better those who admit it and make changes. Chivalry and pedestalization is just an excuse for putting pretty terminology on control and limitations. Yes, they claim that the reason a man prays, “Thank God for not making me a woman,” is because men are privileged with more responsibilities. So, why do women pray, “Thank God for making me as I am,” rather than, “Thank God for not making me a man?” The machers don’t want women to be distracted from their, “high calling,” of cooking, cleaning and wiping snot that might suffer if they were to choose to spend time in study. While not as bad as the Christian world, there is still quite a bit of misogyny among the Jewish sages, such as the Vilna Gaon claimed the entrance to the women’s section of the sanctuary should be bricked up in the service of heaven. The reason being was that women are prone to gossip. Well, perhaps if women were able to gather for prayer and schmoozing daily as men did, and engage in frequent study sessions, they would not be so prone to gossip, and might have something to talk about besides other’s business? And what of women who do not have children, or their children are grown? I know there are a few female scholars sprinkled throughout the history of Judaism. Interesting that Catholicism has a few venerated female authors of times past, but I don’t know of any of the Protestant variety. PL: I am not saying the Islam-like almost demonization of women, or female sexuality permeates all of Orthodoxy, but it appears that fear/control of women is a unifying factor in all fundamentalist religion. Perhaps fear and guilt is also used by religious authorities to control men? @chaya — I think it quite obvious that throughout human history some have exercised control over others by means of fear, guilt, bribery, and other means. If some of that has occurred also in the religious sphere, even the Jewish one, that shouldn’t be entirely surprising. But that does not justify characterizing the entirety of the Jewish enterprise as if it were suitably defined by such behaviors, I cited in my previous post certain human frailties by which some orthodox men imprison themselves. One needn’t blame “fundamentalist religion” as if it were monolithic, though it is certainly true that a focus on basic human motivations cannot ignore sexual tensions and must try to address them. It is the balance of other values that will influence how they try to address this human condition. I am sorry, though, that you are not able to identify with the kavanah that interprets the prayer thanking HaShem for making women as they are as a recognition that they may, in fact, be superior to men in some matters (compassion comes to mind) and that they should rejoice in that fact. There is no benefit to placing a negative “spin” on such prayers, while it is always beneficial to seek to place upon them the best interpretation. This is an approach that is consistent with the principle of doing for others as you would have them do for you. Seek the best, the highest, even the kingdom of heaven itself. Doing so consistently tends to keep the proverbial deer’s feet on the firm rocks of the high places rather than in the mud-pits where one may become trapped.